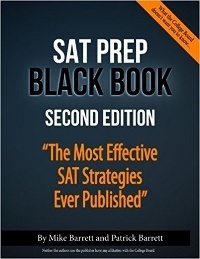 The SAT Prep Black Book's first edition was one of the best resources for SAT Prep, and its second edition continues that legacy. Read this guide for a detailed review of the Black Book's strong points and weaknesses. Also, find out how to integrate this book as part of a complete prep program (because, as we'll explain, it's nowhere near enough for most students). I like to think that I know what I’m talking about. I scored two perfect scores on the SAT and have worked personally with thousands of students prepping for the SAT. I’ve worked with students at all levels, from people at a 800 level to people aiming for a 1530+. Other writers often don't have the expertise to differentiate between books, and they recommend books as an afterthought (and you can probably tell). We'll consider each question below. Mike Barrett describes himself as a test-prep expert "who has been tutoring people for standardized tests ever since he was in high school." He offers mostly online tutoring through his company Concierge Tutoring. The quality of his writing leaves no doubt that he's an expert on the SAT. 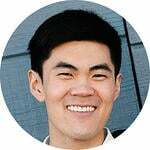 "I used my knowledge of SMM, SEM, and SEO to push the book's Amazon page to the top of Google's natural results for a variety of competitive search terms, and to maintain those results through the Penguin 2.0 update. I crafted the book's Amazon description to maximize sales conversions while optimizing its on-page SEO factors (as much as possible within Amazon's on-page limitations)." While this doesn't automatically reflect poorly on the book - after all, even the best companies need substantial marketing skill - it suggests that his heart and focus is on marketing, not on helping you prepare for the SAT. How Effective Is This Book? This book made it onto my list of Best SAT Prep Books for good reason. It has its drawbacks, and you’ll definitely need supplemental help and more prep programs, as I explain below. But what it does have is fantastic. You learn that the SAT is designed to be a predictable, standardized test. It needs to test basic concepts so that it can be administered nationwide to all students, but it also needs to make it difficult, so it distorts the questions in a weird way. You learn that every answer must be unambiguously correct, or else students would complain that their incorrect answer is correct. This means that your strategy should be to rule out all incorrect answer choices, which is important on SAT reading. While most books focus only on test content and somewhat useful strategies, this book gets down to the brass tacks of how to understand the SAT, and what high-level strategies you need to succeed. Some of the concepts in this book were things I understood intuitively when I took the SAT and was studying for a perfect score, but the author articulates them in a crystal clear way in this book. It’s influenced the way that I think about teaching our students at PrepScholar. Of all books on the market, this book aligns most closely with my personal philosophy on the SAT and how to succeed on it. The book is divided into four separate sections: one on understanding the SAT at a high level, and then one section each for Reading, Math, and Writing and Language. Each section on an SAT section contains background material you need to know, and then goes through clear explanations for all the questions for that section in official SAT practice tests #1-4. What students will find missing from this book is focused practice on individual skills. If you need more practice specifically on Algebra equations, you're out of luck. This book doesn't help you figure out what your strengths and weaknesses are, and it doesn't give you pointers on how to train them. Keep reading for detailed pros and cons for this book. Very lucid take on the SAT. The ideas within will change your view on the SAT and hopefully motivate you to work harder, knowing that any student can excel on the SAT. Contains practical strategies that are more helpful than most other books'. Doesn’t rely on tricks like other popular books do. Doesn’t assume that all students are the same. It offers a few alternatives for strategies, then suggests that you try them out and see which one works better. An exhaustive set of answer explanations for every single question in the first four official SAT practice tests. They break down how to approach each question in a straightforward way. Requires a ton of self-discipline and insight to use effectively. Because you’re learning from your mistakes and no one is there to guide you, you need to be self-driven to experiment with different strategies and find which one works best for you. For some students, following a set of straight guidelines could be less confusing. The fundamental content is lacking. If you’re weak in algebra, for example, this book will not alone help you master that subject area. I believe more in recognizing your weaknesses and, through focused prep and specific practice questions, mastering that skill. This book is more about teaching an approach to preppint for the SAT. It is long (629 pages) and can get repetitive, although Barrett points out that you don't have to read every single page to get benefits, particularly because many of the official SAT questions test skills in the same way. I personally disagree with some of his points (e.g. he believes you should aim to reach a certain ability level in a skill rather than aiming for a particular score; I believe setting a score goal is a useful motivator). This book is one of the best out there, for what it does. It's nowhere near enough for most students, and you'll need to supplement with other practice materials and books, but what it does have is excellent, and it''ll change how you view the SAT and point out new ways to study. Check out our industry-leading online SAT program. We've designed it to cover all the advantages of books and tutors at an affordable price. Featuring in-depth strategy lessons and thousands of practice questions, we have the content from the leading books. We include the critical Official SAT Study Guide. There's a 160 point guarantee - if you don't improve your score by 160 points, you get all your money back.